Psychotron have made another discovery – this time it is a local band – and not just Birmingham local but even closer – Sutton Coldfield. We are delighted to be relaunching this progressive rock album created by some local musicians for a theatrical project performed at the Edinburgh festival in 2016. It is an excellent female vocal prog rock LP with some narration – imagine a heavy version of HEART doing their own version of RUSH’s 2112 and you will not be a million light years away. Buy copies of the record here. Another lovely slice of synchronicity has happened with some wonderful local music which started when one of our regular customers in the shop mentioned he had bought an odd looking album from the charity shop at the local tip and there was 4 more copies there. This was irresistable for Pete so the next day he popped down and found 3 copies left. A colourful gatefold cover with thick booklet, looked very progtastic and spacey (literally) so had to have them for the princely sum of 50p a pop. Once back to the shop and giving it a spin Pete stopped in his tracks: this was great music! Why had we never heard it before. A quick scan of the online record collecting sites gave up zero information which added to the mystery. The record comes with a booklet. Information in this told us that it was recorded 1 mile away from the shop and included photos taken in Sutton Park also just down the road. It was made in 2016 and we wondered how a full-on space prog epic could be issued on vinyl in Sutton Coldfield with us knowing about it? 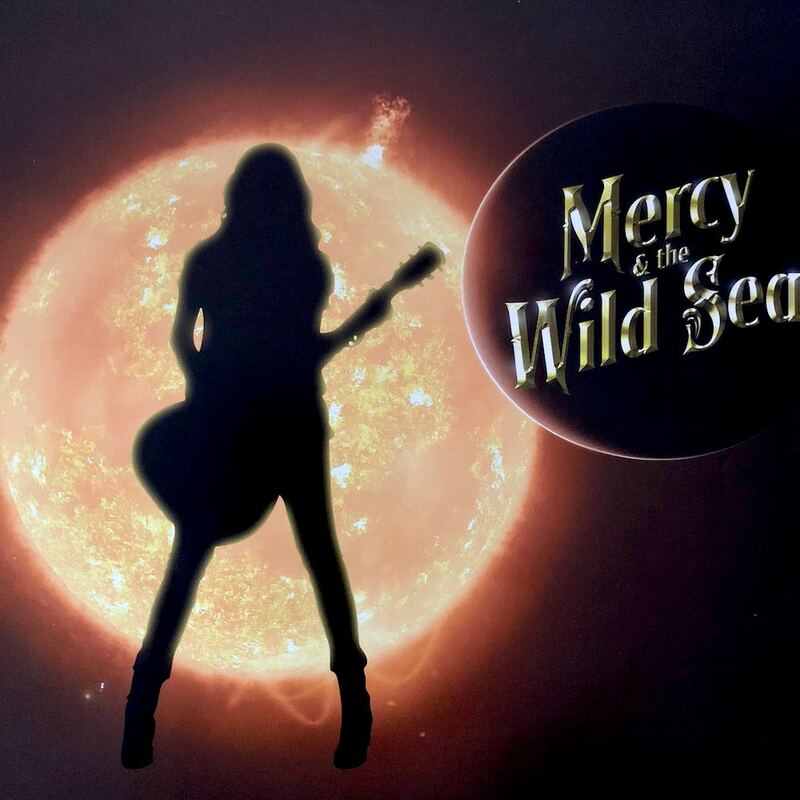 Pete searched for Mercy & the Wild Sea on the internet and found a link to the 50min Star Wars type space battle movie (below) with comments which mentioned an Edinburgh stage show at the famous festival. There was also a ‘broken’ link to a website where the album could be purchased. We found a Facebook page and sent a message which was replied to later the same day. The reply was from Richard Price, the mastermind behind the project. The project was a theatrical adventure for the Edinburgh festival. The movie was made and the music created at the same time. The vinyl was given to the audience of the performance at the festival and that was that. Remaining stocks lay in Richard’s garage ever since. Of course we couldn’t hear about good vinyl forgotten and unloved so decided to buy his whole stock and ‘relaunch’ it to the collectors market.